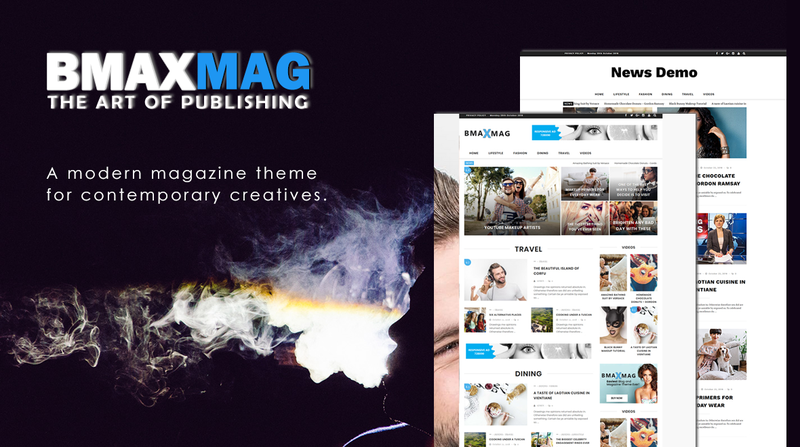 Bmaxmag is a WordPress theme that lets you write articles and blog posts with ease. We offer fast support and friendly help! Live preview images from http://www.flickr.com/creativecommons/ and C&C Story foto-video - https://www.facebook.com/pages/CC-Story-foto-video/881110655281124?pnref=story Important: Images shown in Live demo are NOT included with the download. They are only for demonstration purpose. Should you have a question that this documentation file can't resolve, feel free to contact and we'll do our very best to assist you.